People are itching to save all movies and videos in MP4 format on their hard drives. But you can't have your cake and eat it too. The large amount of MP4 videos take up a whole lot space, though files in MP4 format are playable on almost all media players. No wonder many people ask for solutions to reduce MP4 file size in order to release their hard disc space or fit on the memory card for their mobile devices. If you happen to be the one sweating over to find a reliable solution to make MP4 video smaller, the following guide will be helpful, showing you everything about how to reduce file size of MP4 without lossing quality. MP4 used to the best format that balances the file size and video quality. But as videos come with increasinly higher resolutions, such as 4K UHD 2160P, MP4 is not as efficient to store the massive data. 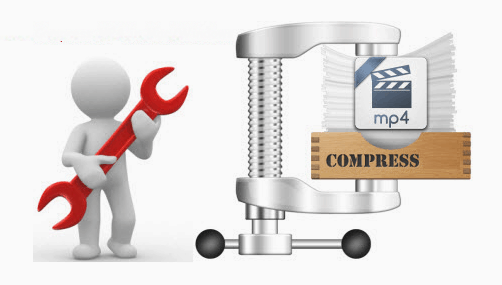 Besides freeing up your space by compressing MP4 videos, there're other reasons why it's urgent to compress video files of MP4. 3. DLSR cameras - a 4K UHD video at 24fps in H.264 MP4 is about 1.1GB to 2.2GB per minute. 1. In spite MP4 is regarded as one of the best YouTube upload formats and web formats, the file with larger size usually gives rise to YouTube upload failure, not to mention slow upload speed. So you need a MP4 compressor to shrink MP4 file size down so as to share it on YouTube or Facebook faster and successfully. 2. E-mailing an MP4 video clip with smaller size to friends is much easier and faster than a larger one. 3. For a successful playback of a HD video on a small-screen phone, you need to resize MP4 to fit the screen, see with the help of a professional MP4 video reducer. MacX Video Converter Pro can compress MP4 videos to 50%-70% smaller to email and upload to web faster, save storage space and play on portable devices. * Shrink HD/4k videos with 3-Level HW tech, no overheating or freezing. * Change codecs, lower resolution, bit rate, frame rate to decrease MP4 file size. * Directly encode MP4 to iPhone/iPad/Android playable formats/resolutions. * Compress MP4 to web sites, like YouTube, Facebook, Vimeo and more. * Reduce MP4 video size, such as crop/edit/trim/subtitle. Try to figure out the ways to compress and reduce MP4 file size? Let's step forward to find the best MP4 video size reducer. Without any doubt, it couldn't be better to find one tool integrating all the needed MP4 downsizing features. Luckily, MacX Video Converter Pro (or Windows Version) realizes all what you need. It features MP4 video compression, parameter adjusting, excellent video editing and batch MP4 conversion. All you have to do is to load large-sized MP4 video, choose smaller-sized format, change the codecs, lower the bit rate, resolution, frame rate, etc, trim the unwanted parts if you like, and start the conversion. Let's take a further look at the detailed reduction process. There is a bewildering array of video formats besides MP4 - AVI, WMV, FLV, MOV, MKV, etc for compressing files, - and on top of that, how these formats stack up against each other, especially in terms of providing smaller file size than MP4? Which one is the best format to shrink MP4 to? Below we list two video formats with file size smaller than MP4. • WMV: The file format is a tightly compressed format that requires a minimal amount of storage space, thus dramatically decreasing the size and increasing load time. It's proved the file size of MP4 is reduced by 60% after converting MP4 to WMV. But you must know WMV has bad compatibility with non-windows platforms, like iPhone, iPad and other Apple devices, and Linux players. This is way WMV isn't the standard web format. You can see further comparison between WMV and MP4. • FLV: It's a suitable format for web video. It's viewable by over 90% web visitors, small in size and easly to be downloaded. So it's workable to compress MP4 to smaller FLV for web upload. However, it's expensive and time consuming to create an FLV content and you will spend a longer wait time to access a web page with Flash, especially when you are using a dial up connection. 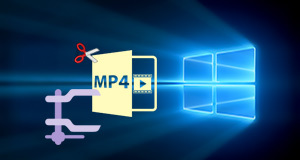 If you hope to decrease MP4 file size, especially for uploading to YouTube, Facebook, etc, it's advised to convert MP4 to smaller sized FLV with this MP4 video converter. • HEVC: HEVC is a format developed to take place of MP4 H.264 to store high-definition videos. It can save 50% of space compared with H.264 at the same quality. Therefore, you can compress MP4 videos to HEVC to downsize the video, especially the source MP4 is in HD or 4K resolutions. You can select MP4 H.265 as the output format, or change the video codec to H.265 in the video parameter settings. Currently, HEVC is supported in major video editors, players, websites, web players, converters etc. • Lower video resolution: The video resolution is closely bound up with video size and quality. Higher resolution usually results in larger video file size. But don't expect a better video viewing experience on a device with smaller display resolution when playing a video with higher resolution, e.g. play a 4k MP4 video on iPhone 6. 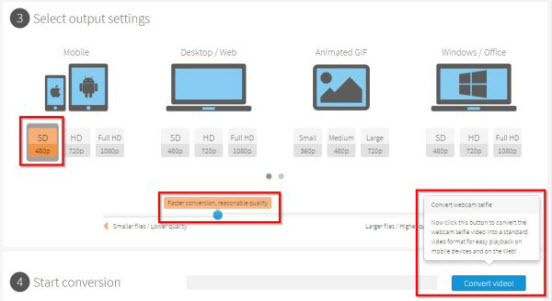 Changing the original video to a smaller resolution will lead to a smaller file size. For a 4K MP4 video, as high as 3840×2160, it's recommended to reduce to 1920×1080, 1280×720, 800×600, 640×480, 640×360 using a video resolution converter. Generally, 640×480 is recommended as it is a good replacer for HD video, suitable for most devices (iPhone, iPad, Android) and fits for many websites (YouTube, Facebook, Vimeo), if you don't care much about the artifacts of compressed file. • Chance codec to H.264/H.265: MP4 video format supports a wide range of codecs, incl. MPEG4, H.264, H.263, VC-1, Dirac, MPEG2, MPEG1, H.265(HEVC), among which HEVC is much favored for its higher compression ratio. It's reported HEVC doubles the compression ratio of the standard H.264 and therefore reduces the file size by about 39-44% at the same level of quality compared to H.264, let alone MPEG4. So if your MP4 is encoded with MPEG4 or H.264 and don't want to change the video format, just shrink MP4 H.264 to H.265 to make it much smaller. • Decrease Bit rate: As for the bit rate, lowering the bit rate will bring about the decrease of the video file size. But please keep in mind the image quality will be bad in case you make the bit rate too low. We suggest you lowering bit rate 20-30% of original file. • Reduce Frame rate: With regard to frame rate, it has a lot to do with the file size. the lower frame rate, the smaller size you will get, and vice versa. Below is the suggested MP4 compression settings for YouTube as well as Vimeo. You can set it at 23.97fps to lower the file size of MP4. * For small space occupation and better playback on mobiles, it's advised to tweak the MP4 resolution to 640×480, with a video codec in H.264. Generally, trimming unwanted video clips from your big video file is a feasible way to decrease MP4 video file size. And some video editor tools as well as video size converter that toast the editing features can realize the task. You can either change the video file into multiple segments or cut off the unwanted clips like commercials, to get MP4 file size compressed. Besides, you will be amazed by its lightning fast speed. Supporting Multi-core CPU and hyper-threading technology, it makes full use of CPU, up to 8 cores, to fasten processing speed to a great degree. One thing needs to be mentioned, it is world's first media converter for Mac taking advantages of the breakthrough hardware acceleration Intel QSV/Nvidia/AMD, thus managing to compress MP4 up to 5x faster than other converters, while sparing the computer resources for other tasks. Plus, the boasting of high quality engine will ensure a lossless quality even if you conduct the MP4 reduction. Therefore, you can play it on mobiles without worrying about storage full, upload it to Youtube, email to your friend as fast as possible with crisp image. Just follow the steps below, where tutorials about how to reduce MP4 file size with the MP4 compressor is shown to you, if you've already downloaded the MP4 video processing software and got it installed on your computer. Step 1: Free download MP4 video processing program and open it, load video files. Since batch conversion is supported, you can add more than one large space-hogging MP4 files at a time. This tool supports the Windows 10/8/7 and macOS Mojave or early versions. Note 1: For a fast speed and smaller file size, you can move the side bar in LQ/Fast. This is one click step that can compress MP4 file size by 50% with no need to change format, codec, resolution, bit rate, etc. Note 2: For a lossless MP4 reduction, you can stay MP4 format unchanged, and just directly to change its parameter settings. Note 3: Check the HW encoder on the interface and apply the Intel QSV, Nvidia Cuda/NVENC, AMD APP GPU accelerations when processing MP4 4K UHD/HD or other large files, which will free up CPU to avoid overheating or freezing, and speed up the process. Step 3: Trigger off the "Setting" window by clicking the icon, where you can adjust MP4 video parameters like codec (h.264/H.265), resolution (640x480), frame rate (23.97fps), aspect ratio and bit rate. Step 4: Go to the "Edit" Window by clicking the icon to crop and trim MP4, delete unnecessary contents and black bars, in such a way of reducing MP4 file size with lossless quality. Step 5: With all the steps finished, you can tap the RUN button to start compressing MP4 video to smaller size. The result shows the original 520MB MP4 file is compressed and reduced at least 40%, with file reduced to 310MB only. After the MP4 video compression procedure is finished, you can eventually utilize its sister MacX MediaTrans to transfer MP4 videos from computer to mobile device (iPhone iPad included) without eatting up mobile space when you are on the journey or on the way home. It's also the ideal iPhone manager for you to free up space on iPhone iPad iPod by transferring iOS photos, videos, music and more if you have no extra space for videos storage, instead of deleting anything you don't want to. Tutorial: Import the MP4 video to be resized once you open the Movie maker, put it into the movie maker tineline, open the "Save Movie" wizard and select the desired file size for the finished video file on your computer. Apple iMovie is an excellent video editing tool that can easily adjust the file size of a video, be it MP4, MOV, AVI or MKV. Tutorial: Import your video file into iMovie by clicking and drapping the file's icon into the right panel of the iMovie window, click and drag it again down into the timeline at the bottom of the window, select "Export using QuickTime", click "Options" to choose desirable format, date rate, frame rate, etc, then click "Export" to finish video size reducing. Although Handbrake doesn't allow to compress MP4 to files like WMV or FLV wiht smaller size, it does let you adjust parameter settings, including video quality, resolution and bit rate. Clipchamp is definitely the free online video compressor champion in its circle. It's simple, fast and versatile, that's why more and more users give it a thumb up. Tutorial: To compress MP4 files online, you just need 3 simple steps to go: Select files > Select output > Create. I choose a HD MP4 music video of Demi Lovato's Cool for the Summer (53.2MB with duration of 3:47 in 720p) and reduce MP4 MV to FLV format. Around 4 mins cost for the whole MP4 conversion. I must admit the MP4 processing speed is closely related to my computer hardware configuration and network connection speed. If your hardware and network connection is good enough, the speed will get enhanced greatly. Below is the table about the detailed compression ratio of the above 5 MP4 video reducers. Computer specifications: macOS Sierra (10.12) or Windows 10 64 bit; 4.0GHz quad-core Intel Core i7; 2TB Fusion Drive; Intel Iris Pro Graphics 6200. Input video: a 4.30 min MP4 with a resolution of 3846x2160. 370+ codecs, compress MP4, AVCHD, MTS, MKV, TOD, MOD, FLV, etc. MKV, AVI, MP4, TS, M2TS, unencrypted DVD-like source. Compress videos to suit high-screen iPhone, iPad, Samsung, Android, PS4, and other 350+ devices. 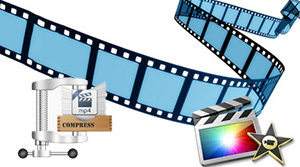 Top online video freeware are gathered to help you resize video MP4, AVI, MKV, MOV, AVCHD, etc. with smaller size and no quality loss. Are you looking for a superb tool to shrink large video file size? Here's an easy-to-use yet effective HD video compression software, which is capable of making 4K/1080P HD video to smaller size with great video audio quality reserved. This article illustrates you how to downscale 4K to 1080P video for easier playback and editing on more players and devices under the aid of a solid 4K video processing software.